I have upgraded my PC (full spec is below), the Aorus Z390 Pro has an optical out which I feed into a 5 channel cinema amplifier. 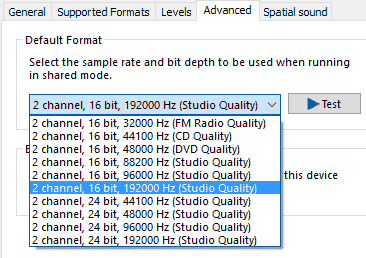 The only options I have for audio output in Windows is 2 channel audio (screenshot below). I have the latest Gigabyte drivers, including the Realtek Audio Driver version 8586 (19 Dec 18), and it's also a fresh Win10 installation. It could have been that it only appears to be a 2-channel device in Windows but actually sends a 5 channel PCM (or whatever) signal down the optical cable. However it does appear to actually only be 2 channels (from the sound and also what the amp is reporting) and of course there's no way to test 5 channels if it only appears as a 2 channel device! Make sure that Realtek Audio is the selected Playback device in the control panel for sound. Plugging in headphones will usually divert the sound to them instaed of other outputs, so unplug them if you’re currently using them. Also, the content must have 5.1 audio data or it is just going to be 2 channel stereo most likely.